Cash is king. It can be easy and tempting to spend money on every subscription and service out there because you need it. Your monthly overhead can start to ring up quickly. Finding the right tools and resources to manage your business can help you to work more efficiently and utilize your capital elsewhere. We all know there a lot of great resources available for companies and teams, but we are a small business, so we love free stuff. So, when is free for me? There are times when a free solution is great because it helps you to fix a problem and operate more efficiently. There are other times that free solutions can be a huge gamble and the liability makes partnering with a pro more cost effective in the long run. In the beginning when your needs are simple, you might be able to find free tools to get you started. Free CRM– Zoho offers a free basic CRM for up to 10 users. We used this when we were first getting started to load new prospect information. They also have many other solutions that integrate, including their Campaigns and Customer Service tools. I used Salesforce.com for many years and I find Zoho’s CRM easier to use and nearly equal in functionality (on the paid version). They also offer free email for up to 50 users. Their email is very easy to use, has a great mobile app and met our needs for over a year. We now use paid versions of their apps and they are still more cost effective than most CRM’s on the market. They do a very good job offering freemium products with real value. Free Project Management App– I started using Trello as a personal “to-do” list and now we use it to collaborate on projects for our team. We use this to share information for implementing new clients and for software development. You can create lists that you can re-use later, create cards and boards to follow the progress of projects, attach documents, comments, and give multiple team members access. Trello is very simple to use and offers a free version that we have yet to outgrow. The mobile app is awesome and allows you to get notifications to your phone every time someone mentions you. We have been using the free version for over two years and have not needed to upgrade. This tool (or one like it) is a “must have” in my book. Free Research Tools– Your local library likely offers more free research tools than you will ever need to grow your small business. The Richland County Library has an entire section of their website dedicated to Small Business research tools and if you go into the library and tell a librarian what you are trying to accomplish, they can point you to the right tools. We have used several of their research tools and still use Reference USA regularly to research prospects. If you don’t have a library membership, go get one. Whether you are preparing your business plan, researching the market opportunity, your competition, or your prospects, they likely have the sites available to help you (for free). Free Virtual Meetings– Google Hangouts is a great tool to keep your virtual team in front of one another or stay in front of clients. This app can help to create higher engagement levels amongst a dispersed team. We have a few team members that don’t sit in our office and I have found this to be a great way to keep “face to face” contact. Google Hangouts allows you to have a video conference with as many team members as you want where you can share your screen, share documents, and use other Google Apps inside of the tool. You can read here about how many people are also using Google Hangouts as a webinar platform to market their solutions and provide educational opportunities. If you have ever researched webinar tools, you know they are expensive. This is a great way to get in the game for free. Free Conference Calling– Uberconference is a free conference call platform for up to 10 users per call. It offers some great additional features like seeing the location of the people involved in the call , but if you need a free tool for conference calls, this was the best I have found. I found very little limitations for a “straight up” call and even found the ancillary features like texting me when people joined the call to be better than some paid services I have used. As a small business owner, it can be difficult to find the right tools to grow your small business at the right price. 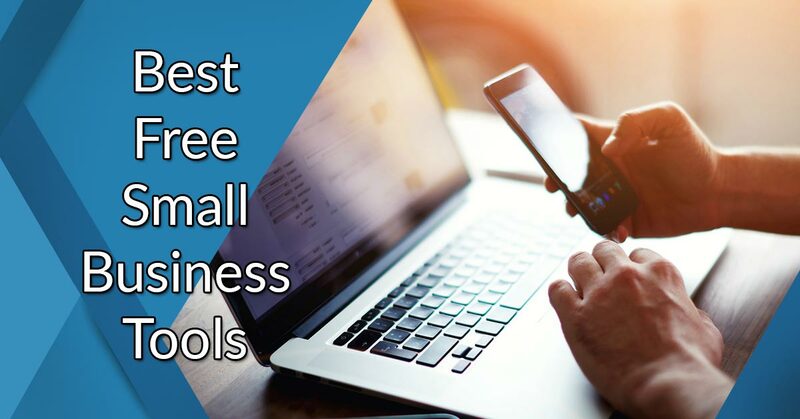 The above tools have great upside for small businesses and can help you to automate processes or get access to information. I hope that you are able to use at least one of these and it helps your team. Our website also has a free stuff section with HR templates, tools, and webinars. These HR tools and templates would cost you hundreds of dollars to have created by an attorney. We are growing this section all the time. If you join our newsletter below, we start you out with “Five Free HR Templates” including a performance management template, employee file checklist, and more.